Crewkerne, which is a market town situated 2 miles to the east and offers a range of supermarkets, shops, cafes and an indoor pool and gym complex. We recommend a visit to the Crewkerne Antiques Centre which has a wonderful selection of retro, vintage and collectable items and a lovely cafe. Also Crewkerne train station has a direct link to London Waterloo. Hinton St George, a picturesque village within walking distance (1.5 miles), offers a fantastic village shop which will deliver to your cottage and an award winning gastro pub ‘The Lord Poullett Arms’. Also there is Dorothy’s tea rooms, perfect for an afternoon cream tea. We recommend having lunch at the Town Mill Bakery or cafe Aroma, followed by a visit to the microbrewery and Art Gallery housed in an old water mill. And if your pocket stretches to it, you can enjoy dinner at Hix oyster and fish house while you watch the sun go down. 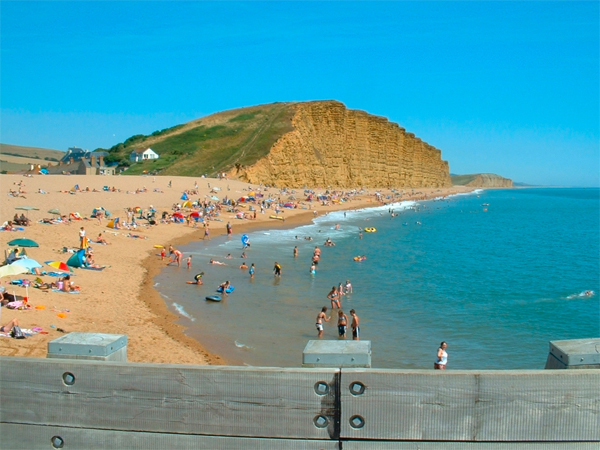 West Bay & Bridport, famous for being the gateway to the Jurassic Coast and tv series Broadchurch is only 30 minutes drive away. The market town of Bridport has a thriving artist community. There is still a busy market held on Wednesday and Saturday every week. We recommend attending the Saturday market for vintage bargains and local produce, arts and crafts. It was Bridport where Hugh Fearnley Whittingstall of River Cottage tried out his first produce. Bridport also has an independent cinema, The Electric Palace, which also doubles as an entertainment venue. You can also catch a show at the Bridport Art Centre, which is famous for the yearly Bridport writing prize and literary festival, and for the From Page to Screen film festival. If vintage is your passion, Bridport has a fantastic selection of vintage furniture and clothing shops, which you will find near the St Michael Art studios. There is a sweet Red Brick Café to stop for a cuppa, when you have finished shopping. Montacute House, which is a 20 minutes drive away, is a 16th century mansion built for Sir Edward Phelips. It has the longest Long Gallery in England and houses more than 60 of best Tudor and Elizabethan portraits from the National Portrait Gallery collection. Forde Abbey, A stately home only 10 minutes away with more than 900 years of history and romance are encapsulated in this elegant former Cistercian monastery and its 30 acres of award winning gardens. Perry’s Cider museum Less than 10 minutes away is the famous Perry’s cider museum with shop and lovely cafe, definitely worth a look. Abbotsbury Swannery and the Subtropical Gardens, Only 40 minutes drive away the picturesque village of Abbotsbury with its ruined Abbey, Tithe barn and Swannery are bordered by the unique Subtropical Gardens. This is an amazing day out. The South West Coast Path National Trail is 630 miles of superb coastal walking. From Minehead on the edge of the Exmoor National Park to the shores of Poole Harbour, in Dorset, it is the best way to enjoy the wonderful coastal scenery, wildlife and heritage. Lord Poulett Arms in Hinton St George is only a 5 minute drive away or can take a leisurely walk through the country lanes. The Lord Poulett Arms won national dinning pub of the year in 2009. The Railway cafe – Located at the Trading Post farm shop is this quirky and beautiful vintage railway carriage that has been converted into a compact but perfect cafe serving amazing fresh produce grown in their garden. The Watch house in West Bay Set on the beach of West Bay 30 mins away by the stunning golden cliffs is this contemporary cafe serving breakfasts, wood fired pizza and seafood. River Cottage Canteen in Axminster is only 30 minutes drive away. Try out their own produce in the restaurant and if you love the food, you can buy the ingredients in their shop to take home. 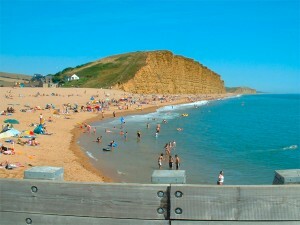 Hive Beach café at Burton Bradstock is 35 minutes drive away. Visit it for breakfast, lunch and dinner with sea views. Station Kitchen in West Bay Truly delicious food in an old railway carriage and station, one of our favourites! Brassica in Beaminster is a stunningly designed restaurant offering exceptional European cuisine. The Phoenix Bakery in Weymouth run by Aidan Chapman, Master Baker and River Cottage teacher to Hugh Fearnley Whittingstall and staff. We think he makes the best brownies in the world! Olive Tree Restaurant in Bridport, Warming Mediterranean food cooked in front of you in the open kitchen! Jalopy Pizza brings high quality street food to Dorset and beyond. We use very high quality ingredients and hand make each pizza to order. The pizzas are cooked in our authentic Ephrem wood fired oven, which gives them a unique flavour.